The eggplants are still coming in and I’ve been looking for more and different ways to cook them. Every time I turn around, there’s another one or two ready to eat – and the neighbors are starting to avoid me. We have breaded cutlets in the freezer, we have caponata in jars downstairs. I hit the NY Times a few weeks ago and did an eggplant search. Lots of recipes – and far too many of them are mere variations of the same thing. I did see one that looked somewhat promising – a dish with eggplant and shallots with a chicken breast on top – so, armed with an eggplant and lots of shallots, I went to work. The first change was the cilantro. Victor is of the taste like soap contingent, so we tend to avoid it, when possible. I picked fresh herbs from the garden – parsley, basil, oregano, and mint. Those flavors sound more Italian-ish, so I marinated the chicken in red wine, garlic, and olive oil. At the point in the recipe where I was to add the ginger, I reached for a bottle of pistachio liqueur and added a handful of roasted pistachios. 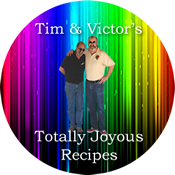 And when it was all done, Victor mentioned getting some balsamic – the good stuff – and drizzling it on top. The end result was pretty darn good – and reasonably different from where I started. That, of course, is half the fun of cooking. 1 hour before cooking, marinate chicken in 1/2 cup red wine, 1 minced garlic clove, 2 tbsp olive oil, and a pinch each of salt and pepper. Set aside. Prepare a hot grill and cook when eggplant mixture is halfway done. Peel shallots and leave whole of small, cut in half lengthwise, if large. Saute in olive oil for about 10 minutes – until nicely softened. Add cubed eggplant and mix well. Lower heat to medium, cover pan, and cook until eggplant is softened and cooked through – about 15 minutes – stirring occasionally. When eggplant is almost fully cooked, remove cover and stir in pistachio liqueur and pistachios. Add fresh herbs and S&P, to taste. Continue cooking until liqueur has evaporated and eggplant and shallots are tender. Drizzle with good-quality balsamic vinegar. This really did come out good and the eggplant and shallots are a perfect side dish on their own – without the chicken breast. As we ate, we thought of other additions, such as raisins or chopped apricots, maybe dried figs. It’s definitely something that can be played with time and time, again! I have a new favorite eggplant dish!